after I had some really big performance issues I decided to make some speed tests. For the following tests I used the tool ATTO Disk Benchmark Ver. 2.34. 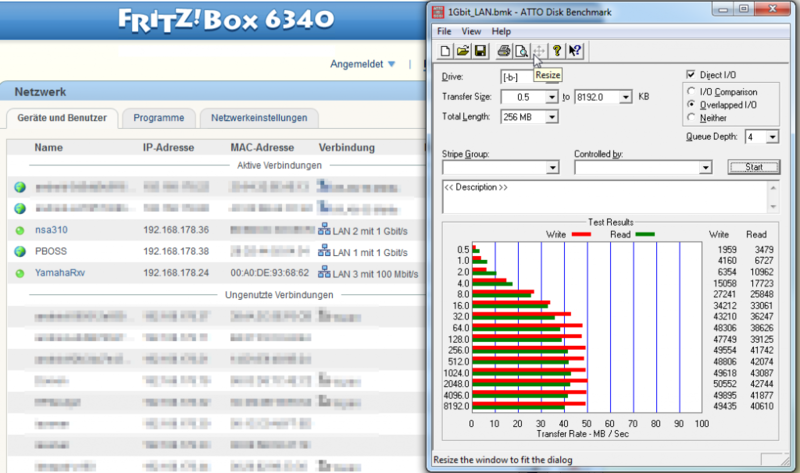 The setup is Zyxel NSA310 with the current Firmware Release V4.62(AFK.0) and FritzBox 6340. Result: only up to 4.5MB / sec. This was the speed that I get almost when I copied files. 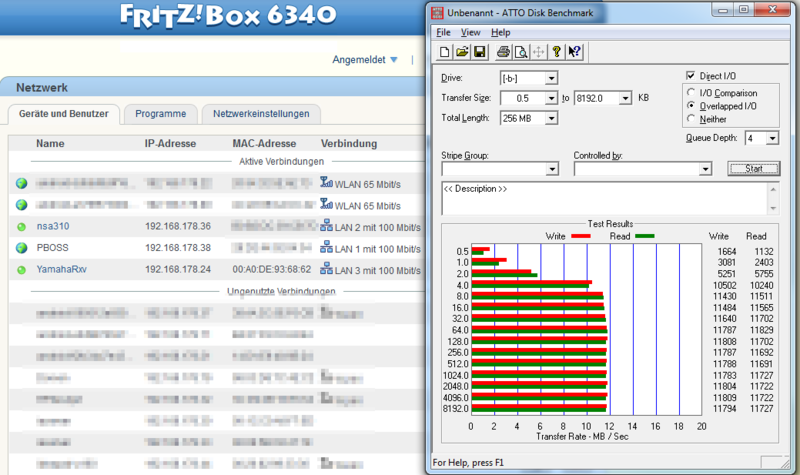 I was very dissappointed and did the next test with 100MBit via LAN. Important: You have to disable the „green Mode“ on your FritzBox, otherwise your speed will be limited to 100Mbit/sec. 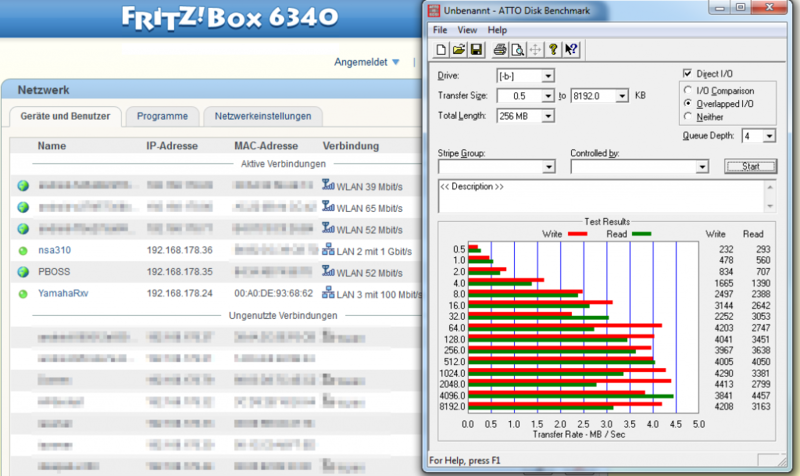 Result: up to 43 MB/sec read speed and up to 50MB/sec write speed. This is a really good result. I handle some of my Contacts (especially email-only-contacts) via my owncloud instance instead via google. Now I had the problem that I need all those contacts on my mobile android device to be able to write emails to those people. I don’t like to sync my email-pnly-contacts with my google account, so I need a solution that is working fine with android but without merging the contacts.